Abstract: This paper presents a simplified method based on a barge shape, for predicting the first order motion response of a typical moored floating Production Storage and Offloading (FPSO) vessel. The technique is suitable for use on a spread sheet and provides rapid optimisation for any given vessel and environment combination. Results are presented from a three–dimensional diffraction program showing that a barge shape can be used to estimate the motions of a FPSO at an earlier stage of the design process. Abstract: Emerging completion technologies are placing increased demands on seal systems required for downhole use. The move towards higher production pressures and temperatures (HP/HT) means that seal design could become the limiting factor for the exploitation of HP?HT wells in the North Sea and elsewhere. Current dynamic seal design practice is not supported by a fundamental base of knowledge, although there is experience and empirical data at existing operating conditions. The basis for predicting seal behaviours under conditions more extreme than those currently experienced is therefore limited. For this reason MERL has designed and built a new instrumented dynamic seal test facility to investigate the behaviours and mechanisms of failure of seals, under realistic conditions simulating downhole service. The test facility that exists is unique in Europe and its function is illustrated by reference to typical results. Abstract: The continued exploration and development of deepwater offshore oil and gas fields presents greater technical challenges to the pipeline engineer. Such wells tend to produce very corrosive wellstream fluids at high wellhead flowing temperatures. This paper will examine aspects of pipeline materials selection based on corrosion resistance requirements. A review of alternative pipeline materials is presented, together with limitations on the use of each material for corrosive service. Finally, the paper will demonstrate how a re–evaluation of the traditional predictive models for assessment of corrosion rates, in wet CO2 gas pipelines, can avoid the use of high alloy carbon steels, or exotic materials. Abstract: The ultimate aim of the European Commission’s MAST–II REBECCA project was to study the viability of characterising sub–bottom sediment structures entirely by acoustic means. Part of the system developed to attempt the realise this aim was a parametric sonar system. The mode of operation was to insonify the sea bed at different incidence angles, using a variety of transmitted acoustic pulses, and subsequently to examine reflected and forward–scattered signals. The paper describes firstly the transmitting system designed and developed at Loughborough University. It then presents the results of static calibration tests in Lock Duich, Scotland and further results obtained during sea trials on two French research vessels off the coast of Brittany, when the parametric sonar array was integrated into a two–fish with an attached hydrophone streamer. The sonar transmits a phase–steerable primary beam centred at 75 kHz and generates in the water useful secondary signals at typically 3 kHz to 7kHz, with a narrow sidelobe–free beam (2.5° x 2.5°), at Source Levels up to 196 dB re 1 mPa at 1m at 5 KHz. Abstract: Weather and climate are in a constant state of variation. The time–scales over which these variations take place range from minutes to millennia and even longer. Human experience of these variations spans only a very short period of time. As a consequence, a change which is actually part of a long–period variation about the mean can easily be mistaken for a trend in the mean itself. In recent decades significant variations in the wave climate of the N.E. Atlantic Ocean have been identified. It is important to try to identify whether these changes are a variation about a steady mean or whether they are indicative of a shift in the mean itself. An examination of the varying climate of storm systems in the N.E. Atlantic helps to provide an understanding of why the wave climate appears to have changed. Abstract: This paper discusses Shell Offshore Inc.’s current deepwater Gulf of Mexico (GOM) geotechnical investigation practice. The development of the geotechnical investigation prognosis and its components are outlined. 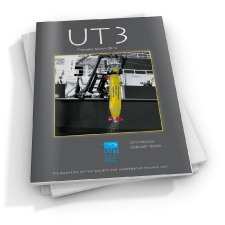 The paper discusses the range of water depths, site soils, platform types, investigation vessels , and in situ tools that have been used. Both standard and advanced laboratory testing schemes are presented and their purposes discussed. The importance of integrated geophysical studies for defining investigation scopes is highlighted. 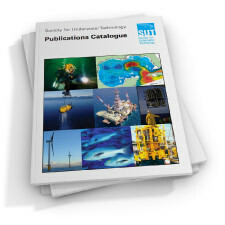 The use of the data for the design of surface and subsea development structure foundations and exploration and production wells is reviewed. The Mars Tension Leg Platform (TLP) site is provided as an example of an integrated geotechnical investigation. Finally, the paper proposes directions for advances and development in geotechnical investigations and associated technology for the 21st century. Abstract: Offshore system design requires an estimate of the extreme environmental conditions, typically based on the 50 year period values. Where a single environmental variable dominates the system’s behaviour, a univariate extreme value analysis may be sufficient. However, many systems are dependent on several aspects of the environment and a multivariate extreme value analysis is required. One approach is the use of a response function to transform a bivariate environment to a single variable describing a critical force in the offshore system. The resultant one dimensional problem is then explored using the standard techniques of univariate extreme value analysis. This method, the ‘structural variable approach’ is applied in a bivariate extreme value analysis of a single point moored vessel and its dependence on wave height and period. The 50 year return period steady drift force determined by this method suggests that the vessel will experience considerably greater forces than might be expected from a simple univariate extreme value analysis based on wave height alone. It is increasingly recognised that erosion arising from sand production can be a significant problem in the production of petroleum fluids. Since the quantitative analysis of the flow behaviour of entrained particles is extremely difficult, the traditional methods of estimating the rate of erosion occurring in well–head equipment has been based on the accumulation of experience and information on past equipment failure or damage. The ability to predict erosion rates in a new or modified system would provide the designer with an invaluable tool for estimating low erosion potentials within a cost effective and reliable design solution. Here we present a set of results from an ongoing process of research examining erosion risk for various subsea component geometries. The set of data concerns a ‘T’ joint geometry, appropriate to both conventional and horizontal subsea Christmas tree configurations and demonstrates our use of a multi–layer paint erosion indication technique to produce highly visual and accelerated maps of erosion damage occurring in a three dimensional component model. The paper also serves to introduce our exploratory investigations of computational fluid dynamics and fluid/particle flow dynamics visualisation as tools for modelling the erosion patterns observed. Although the UK is already strong in several marine markets and in the science and technology necessary to underpin continued market success, we believe that substantial additional benefits will accrue to the UK if it increases its efforts so as to acquire a large fraction of the developing global markets in these three areas. We have prioritised the technologies in which further investment in R&D is required if the UK is to achieve these benefits. 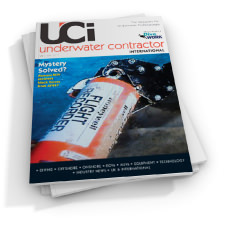 Near Seabed Geophysics and Geotechnics: What can they do for your next subsea pipeline project? Towards 2000: Metres or Millenium? Introduction: The Marine Foresight Panel came about in 1995 to represent the cross–cutting interests of the Marine Markets as the sixteenth panel in the UK Government’s Technology Foresight exercise. The Technology Foresight process was set up as a national consultation exercise to bring together industry, academia and government to determine where the country should invest its science, engineering and technology spending. In view of the range and scope of technologies which underpin the marine industries in the United Kingdom this Foresight Panel was made up of five sub–groups, reporting to the Panel Chairman and resulting in a Final Report made up of their findings. 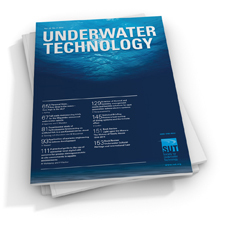 This paper is the second of two sub–group reports to be covered in Underwater Technology, selected for their interests to SUT members. Isolation an Environmentally Sound Waste Management Option? Abstract: This paper discusses the waste disposal concept of environmentally isolating industrial wastes (i.e. sewage sludge, fly ash from municipal incinerators, and dredged material) on the abyssal seafloor. Environmental acceptability of this concept is compared with alternative oceanic waste management concepts of containment and dispersion. Dredged material, containing contaminants with high particle affinities enabling potential toxins to be readily sorbed to sediment and be buried within the seabed, is ideally suited for abyssal seafloor isolation. Sewage sludge, with low bulk densities, is better suited for disposal by dispersion. Fly ash, containing high levels of heavy metals which can be mobilised under certain redox conditions, is a poor candidate for ocean disposal. 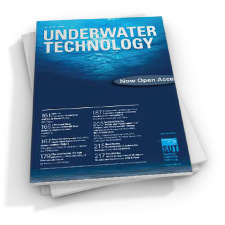 Abstract: This paper describes the application of neuro–fuzzy techniques in the design of autopilots for controlling the yaw dynamics of an unmanned underwater vehicle. Autopilots are designed using an adaptive–network–based fuzzy inference system (ANFIS), a simulated annealing turning methodology, and a fixed fuzzy rule–based approach. To describe the yaw dynamic characteristics of an unmanned underwater vehicle and realistic simulation model is employed. Results are presented which demonstrate the superiority of the ANFIS approach. It is concluded that the approach offers a viable alternative method for designing such autopilots.